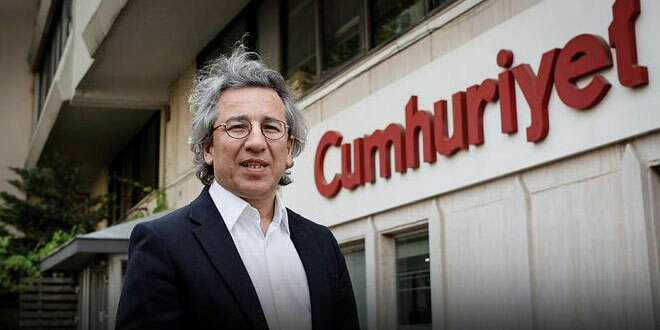 According to a statement from the BYEGM, Dündar’s request was rejected due to national security policy, and a decision of whether Dündar’s press card will be revoked will be made at the next meeting of the Press Card Commission. “The request of Can Dündar, who on every occasion defames Turkey and attributes false statements to Turkey, has been denied due to national security policy,” the statement read. Dündar is currently standing trial in absentia for “espionage” after publishing an article on the alleged transportation of weapons to radical groups in Syria by Turkey’s National Intelligence Organization (MİT). While Dündar left Turkey prior to a failed coup attempt on July 15, his wife was stopped by police at İstanbul Atatürk Airport and her passport was seized under the state of emergency that was declared days after the coup attempt.